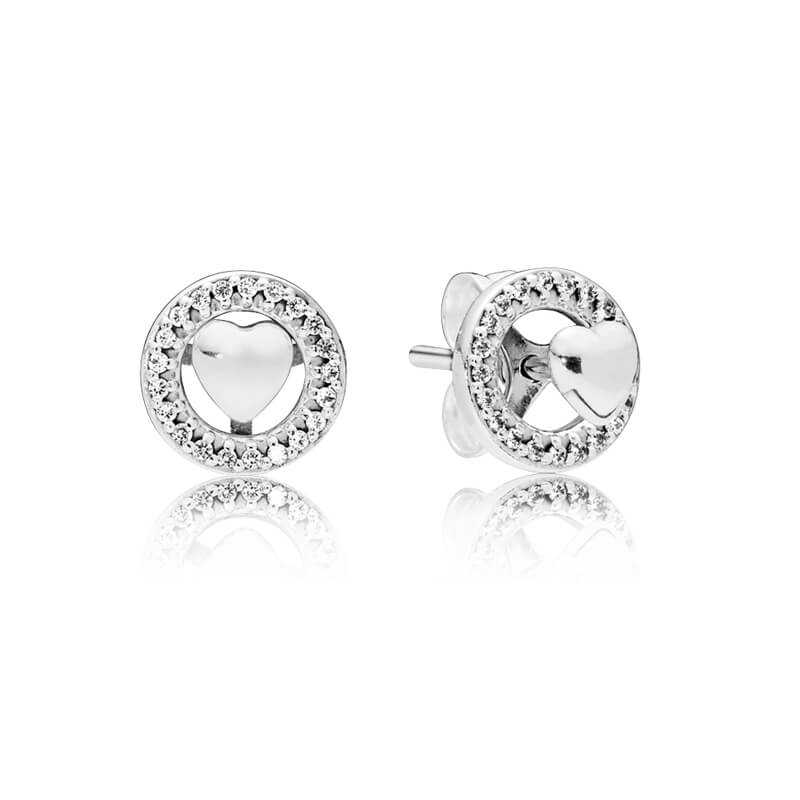 PANDORA Forever Hearts Stud Earrings. Sweet sterling silver hearts are encased by a halo a sparkling clear cubic zirconia stones - which are removable for a truly versatile look. Lovely, sweet earrings but a little smaller than expected. Maybe the size could be shown in product information.